Six book covers produced by pupils from Muriel Pyrah's class at Airedale School, Castleford, Yorkshire, after they had embarked on school trips in the early 1970s (Courtesy of National Arts Education Archive). The West Riding Education Authority existed from 1889–1974. It was already known as an innovative education authority even before Alec Clegg took office in 1945. The images on this page serve to illustrate further aspects of our project. Lottie Hoare will complete a journal article on the teacher Muriel Pyrah. Lottie visited Airedale School, which is now known as Airdale Infant School and Airedale Junior school, on 26th January 2017 along with former pupils Alison Drake and David Wilders and their former teacher Dot Else. David Wilders is a former miner who was injured in a mining accident and now works as an artist and arts educator. Please scroll down on this page for further images and text on participants who have helped us better understand the West Riding Education Authority under Alec Clegg, including Barbara Megson, Mel Dyke, Margaret Brooke, Ruth Nettleton and Rosemary Devonald (née Smith). There are also further archival drawings by children from 1962 and recent art work produced by Airedale pupils, in a workshop led by David Wilders. 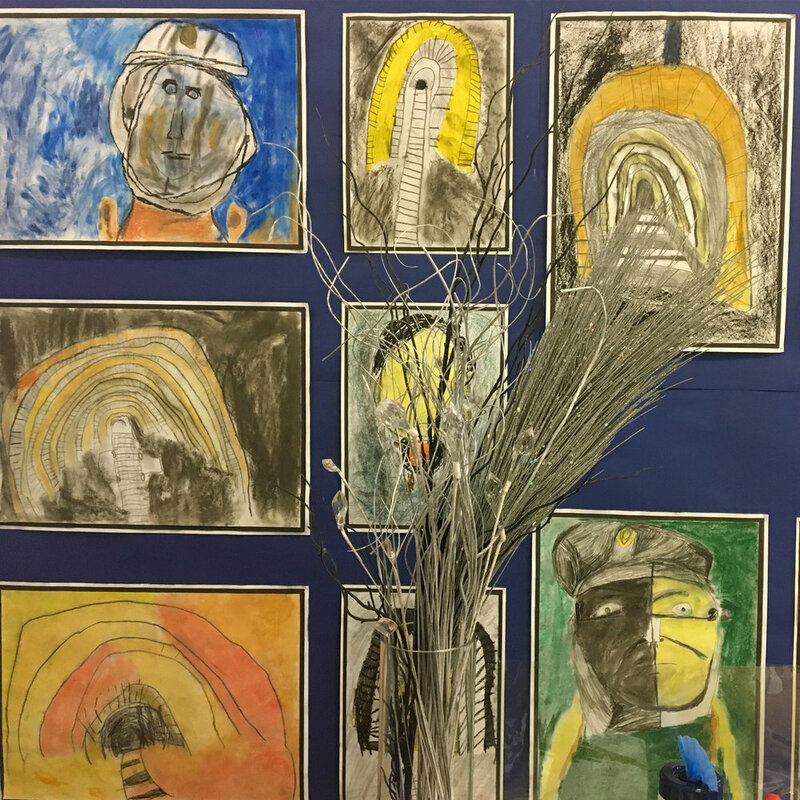 The first image above is a collection of artworks produced by current pupils at Airedale Infant School in a workshop initiated by David Wilders. 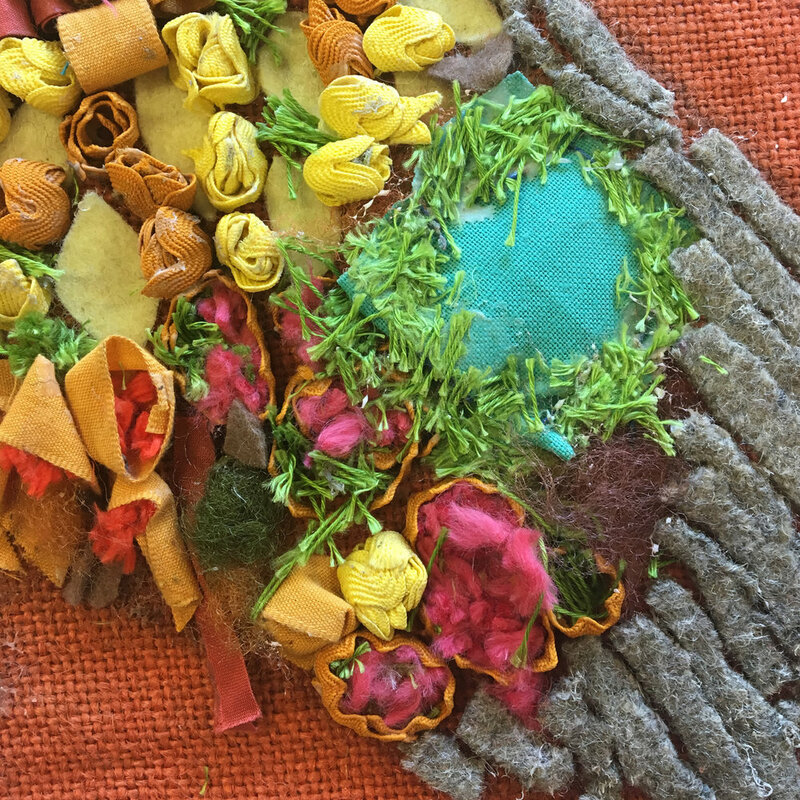 Next there is a collage of the natural world, from the 1970's National Arts Education Archive, Alec Clegg collection. 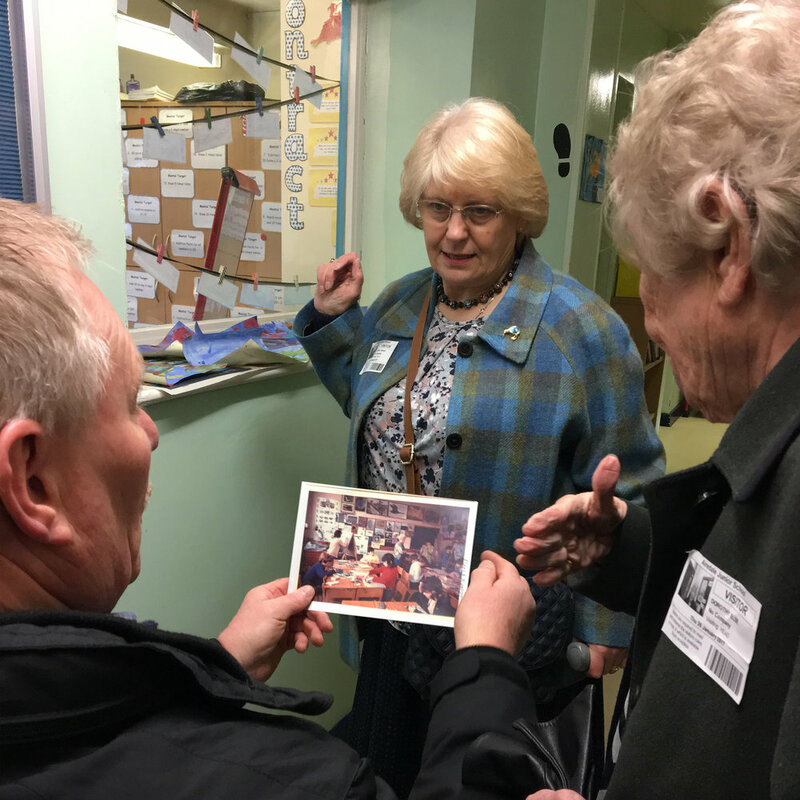 The subsequent image shows David Wilders, Alison Drake and Dot Else touring the current Airedale school buildings and David using an old photograph to try and establish which classroom Muriel Pyrah had taught in during the early 1970s. The final image above shows early morning scenes from the Yorkshire Sculpture Park which now surrounds what was formerly Bretton Hall, an innovative teaching training college which Clegg was instrumental in founding in 1949. 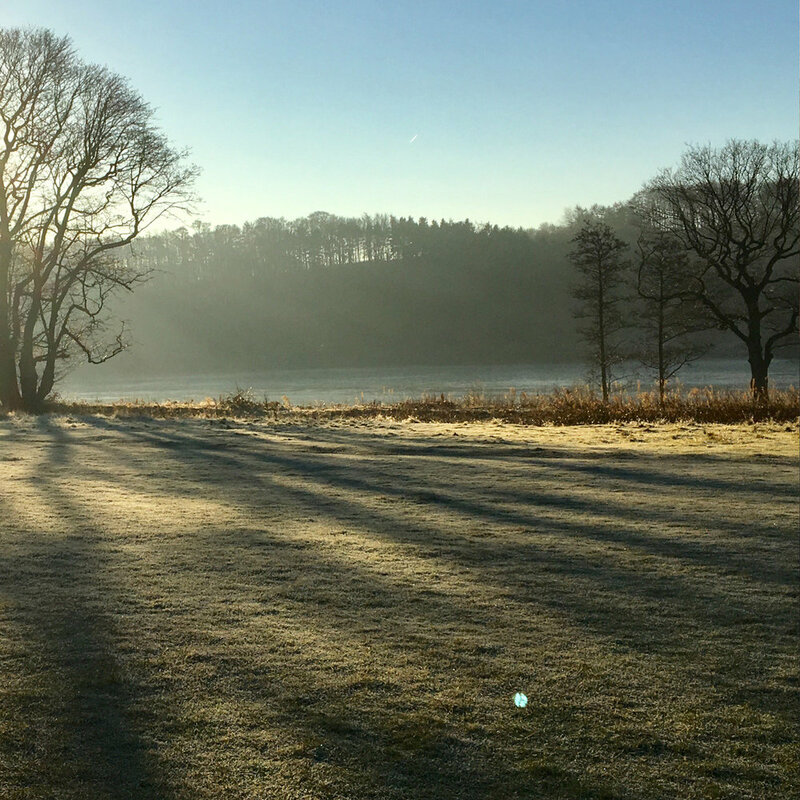 (Right) An early morning scenes from the Yorkshire Sculpture Park which now surrounds what was formerly Bretton Hall, an innovative teaching training college which Clegg was instrumental in founding in 1949. (Left) Alison Drake and Dot Else touring the current Airedale Junior School building. (Right) Mel Dyke with David Attenborough – an illustration from Mel Dyke's book Grimethorpe Revival (2013) which touches on the contributions of the Clegg and the Attenborough families to 20th century education. Mel discussed these memories further with Lottie Hoare in May 2017; (Left) Barbara Megson in April 2017, former teacher and HMI, discussing with Lottie Hoare, Barbara's work with Alec Clegg for the publication Children in Distress (1968). Revisiting this book Children in Distress has also inspired our project seminar at the Faculty of Education, Cambridge on 15 July 2017. Two images of Margaret Brooke, (Top Left) from May 2017, when she discussed postwar educational reform with Catherine Burke and Lottie Hoare. (Top Right) dating from the 1960s, when she became head teacher of Three Lane Ends Infant School in Castleford, Yorkshire. (Bottom Left) Pamela Marley, Customer Service Assistant at Castleford Library, discussing her memories of being a pupil at Airedale School Castleford, during the 1960s, with Lottie Hoare, July 2017. 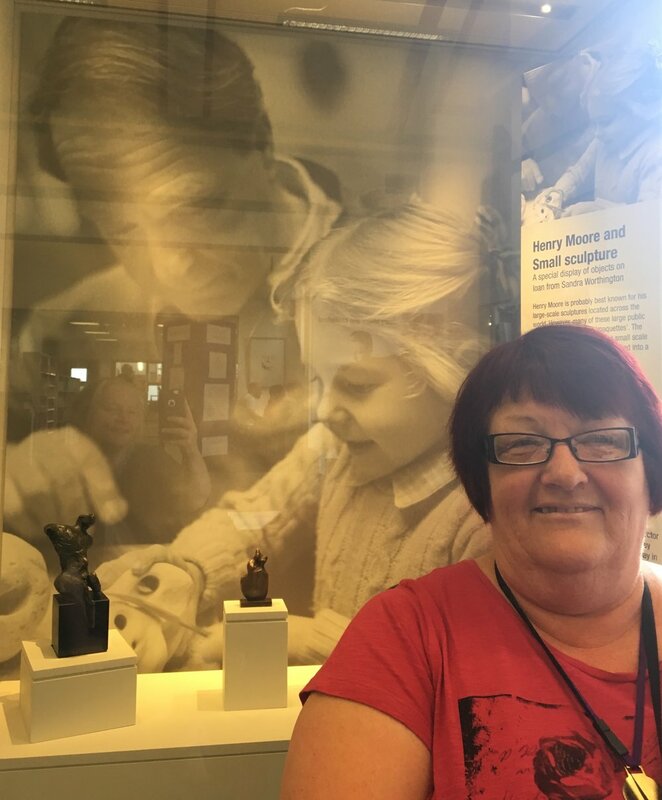 Pamela is seated in front of a display of Henry Moore's small sculptures at Castleford Forum Library and Museum. 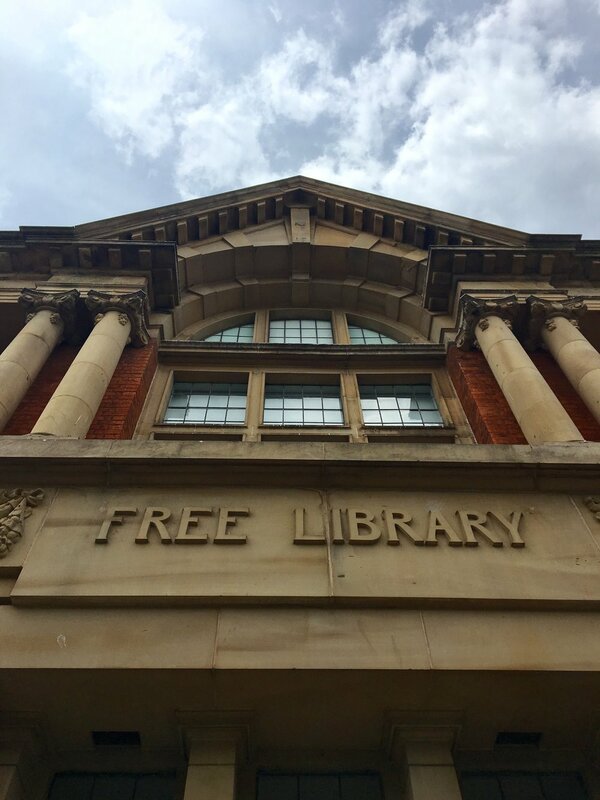 (Bottom Right) The Entrance to Castleford Library which opened in 1905, with support from Andrew Carnegie. (Left Top) A drawing in wax crayon dating from 1962, from a Ripon primary school pupil, remembering the then recent visit of BBC cameramen to the West Riding of Yorkshire. (Right Top) Drawings in pastel from 2017, created by children aged 5, 6 and 7 at Airedale Primary School, Castleford, in a class led by David Wilders which looked at the experience of working in the mines in the West Riding. (Left Immediately Above) Rosemary Smith was born in 1928. She was part of the first cohort of students who studied under Clifford and Rosemary Ellis at the Bath Academy of Art which opened in 1946. She was taught by the sculptor Kenneth Armitage and realised there at Corsham Court her life long commitment to art education. She became an art adviser for the West Riding of Yorkshire Education Authority in 1953 where she met and married Basil Rocke, artist and Senior art adviser. She later remarried after the death of Basil in 1966 and settled at Inglesbatch with her second husband, artist Vivian George Devonald where Cathy Burke and Peter Cunningham spent an afternoon in June 2017, discussing her memories of working with Alec Clegg. One of the projects that Clegg invited her to lead was the programme called 'The Brighter School Environment'. (Right Immediately Above) Ruth Nettleton, who was both a pupil and a teacher in secondary schools when Alec Clegg was CEO of the West Riding of Yorkshire. 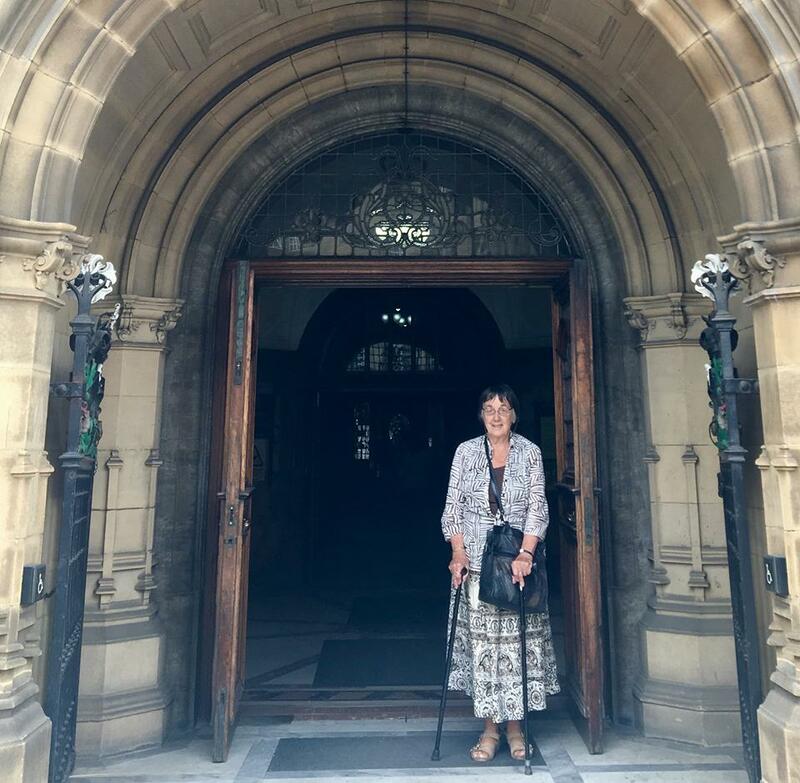 She is pictured here returning to Wakefield County Hall in June 2017, with Lottie Hoare, to try and establish which office Alec Clegg had used. Ruth attributes her lifelong love of travel to an LEA schooling that involved plenty of time outside the classroom visiting ports and boats and new landscapes. 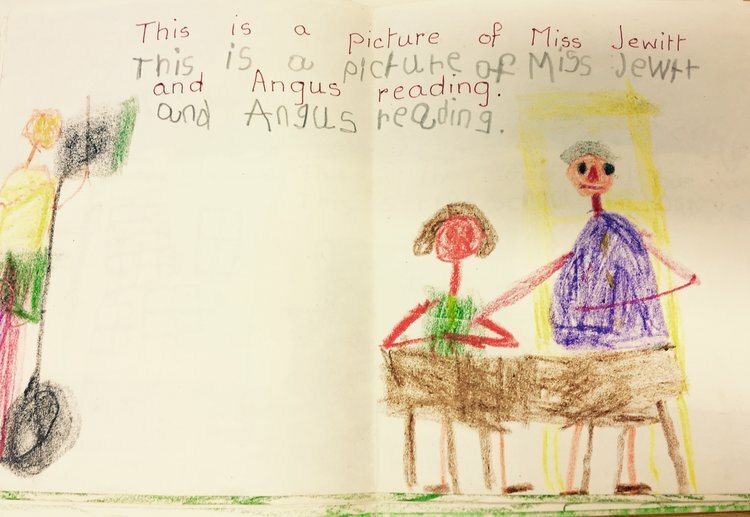 She also recalls the importance as a teacher of encouraging confident communication in the pupils she worked with and described how this could be developed by helping them to see that the experiences of their own lives and their local knowledge was of value.